Do I Have to Refrigerate Apple Dump Cake? 1 What Is Apple Chutney? 2 Do I Have to Refrigerate Apple Dump Cake? 3 Can You Make Cider From Cooking Apples? If you have a food dehydrator, you can make your own apple chips. These are cheaper and healthier than the fried apple chips in the store. You can use any type of apple you like, and if you prefer, spices such as apple pie spice mix or cinnamon can be sprinkled on the apples. Leave the skins on for some additional fiber, but this is not necessary and you can peel the apples before slicing and dehydrating them, if you like. Peel the apples, if desired. Cut the core out, using the apple corer or a knife. Slice the apples into thin rings between 3/16 inch and 1/4 inch thick. Add 1 tbsp. lemon juice to 1 cup of water in a large, shallow bowl. Dip the apple slices into the water and lemon. This will prevent the apples from turning brown. Pat the excess moisture from the apple rings with paper towels. 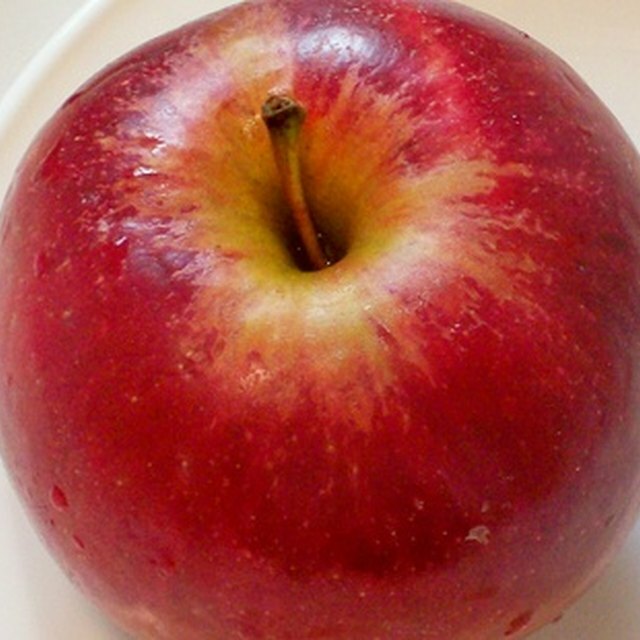 Lay the apple slices in a single layer in your food dehydrator, according to the manufacturer's directions. Sprinkle the 1 tbsp. cinnamon, apple pie spice mix or sugar on top of the apple rings, if desired. Dehydrate the apple rings for 8 to 10 hours at 135 degrees F, or until they are crispy. What Foods Can You Eat on the Atkins Diet?